Malaysia Islands – The idyllic islands of Malaysia are incredibly breathtaking in beauty, diverse in cultural experiences, and abundant in numbers. Holidaying in the main cities of Malaysia is very much already like a short trip to paradise, but if you want to take it up a notch, heading to one of the smaller islands from the mainland for a few days means getting away from the urban landscape and getting to enjoy the more traditional (if not quieter) side of Malaysia that’s often overlooked for the tall twin towers and the tropical jungles. Whilst those who are after the supreme white-sand beaches and crystal clear waters would automatically opt for destinations like the Maldives or Fiji, or those who are after historical and cultural charm might traverse to Malacca just outside of the main city, it’s actually so affordable and easy to travel picturesque islands offering the same, if not greater, levels of beauty and culture that it’s almost unbelievable. Some islands are only less than an hour away by plane, others are less than an hour away by ferry, but all require minimal effort, and are worth a day or two from your itinerary to chill out in and give your mind a rest. 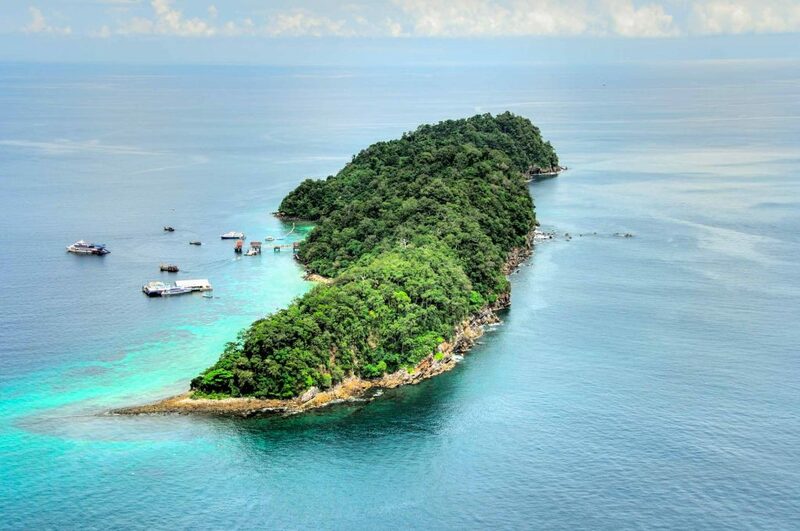 Just off the east coast of Malaysia are a small cluster of 64 islands of which Tioman Island is the largest. As with most islands surrounding the Malaysian mainland, Tioman Island is best known for its ideal diving and snorkelling environments. It’s surrounded by a wide range of marine life, and the amount of colourful coral reefs in the area make it the perfect place to settle down for a few days of exploring the ocean. 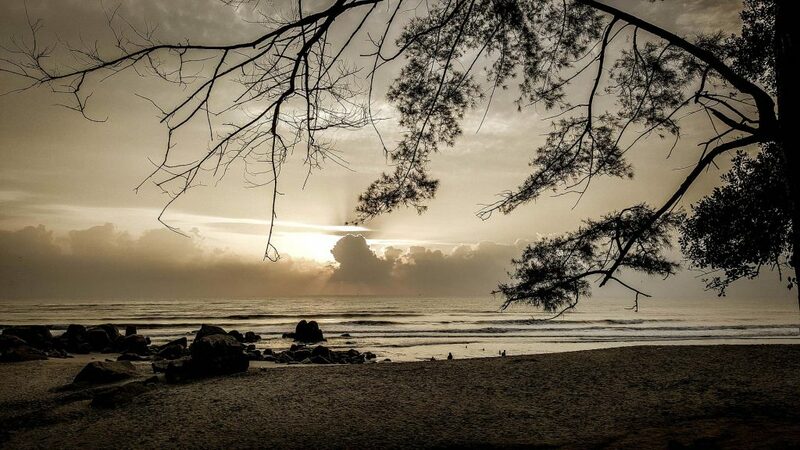 Whilst the above activities may be on the agenda for most people heading to Tioman Island, there are actually plenty of other activities for travellers who want to make the most of the island. 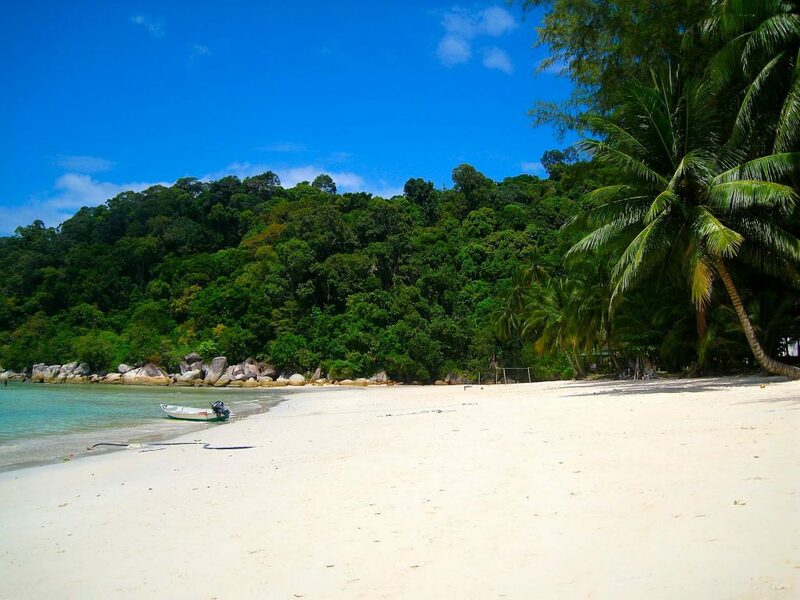 Paya Beach, the most famous beach on Tioman, is the best place to explore relax and sunbake under the sun. The Paya Beach Resort located near the beach provides relaxing massages, and when your body is feeling nice and soft and languid, order a cocktail and enjoy the sunset as it sets over the ocean. Tioman Island also offers a wide range of waterfalls to explore, some of which are absolutely stunning. There are boats that can take you directly to the waterfalls for those who don’t want to do a bit of walking, however, they’re all accessible via a bit of a trek. One of the most popular waterfalls is the Asah waterfall. Head to Mukut Village on the south of the island nice and early to be able to trek to and from the waterfall within the day. Bring a packed picnic as there are no food options along the way. 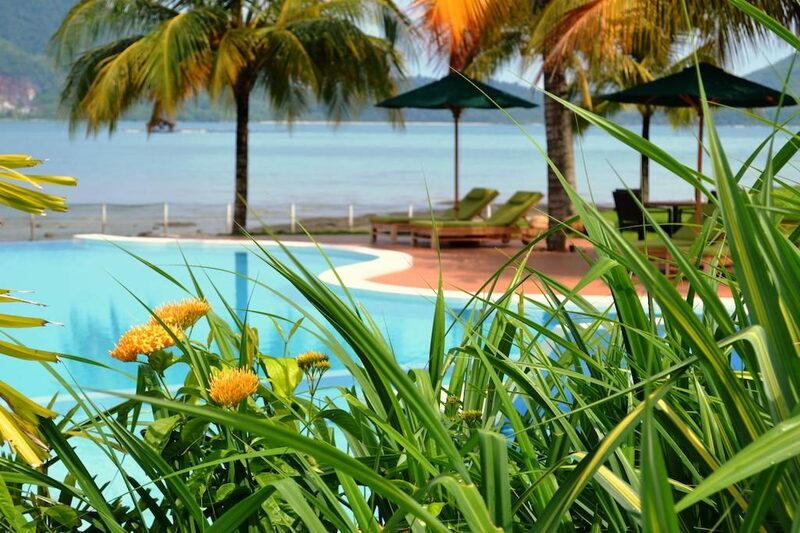 Set right on Balok Beach, Swiss-Garden Beach Resort offers premium features such as six on-site dining options, tennis courts, a free-form outdoor swimming pool, and a spa. You can take advantage of their free shuttle service to Kuantan Town, however, feel free to walk and explore around the area as where it is located offers easy access to many attractions and souvenir shops. Why Guests Love It: “Breakfast was wonderful”, “Great beach and pool view and friendly staff”, “Scenery was breathtaking”, “Nasi lamek breakfast buffet was so good!”, “Very large, neat room, well-equipped. Beach right in front of the hotel, very convenient access”. An absolute classic entrance on the list, Langkawi Island is almost synonymous with a trip to Malaysia these days. With its increasing affordability, ease of access, and activities catering to tourists of all kinds, Langkawi Island is an unconditional winner in all ways. People may know Langkawi is the quiet, peaceful island where rest and relaxation is the priority for all visitors, but what they may not know is that the island offers adrenalin-pumping activities such as jet-skiing and rainforest canopy adventures, majestic waterfalls and sunset viewings, and, surprisingly, is an absolute mecca for Malaysian street food with their daily night markets that pop up all over the island. Spend a few days here and you’ll get a taste for another side of Malaysia that’s not always in the spotlight, but you’ll find might be more enjoyable than you think. If you want to know more about Langkawi Island, we’ve got a dedicated post highlighting the best things about the island, many of which are suitable for all types of travelers. Check it out here! One of the top picks for Kuah, the Ocean Residence Langkawi is the ultimate resort for those seeking a paradise within a tropical paradise. It offers an impressive outdoor swimming pool that can be enjoyed by anyone, and is just a 5-minute drive into Kuah City. Spacious rooms feature separate living areas, a fully equipped kitchen, dining area, and private bathrooms. If you’re keen for some local food, eateries can be found merely 10-minutes by foot away. Why Guests Love It: “Good for a relaxing getaway with family and/or friends especially if the main agenda is to spend time together”, “Beautiful ocean front view, the serene ambience, well-maintained resort, great hospitality from the front office and all staff”, “Hotel’s lunch menu was absolutely delicious!”, “The container house was a new experience for me, it faces the sea and the swimming pool. The room is huge. The staff were nice!”. A slightly unique island on the list, Penang Island is not so much an idyllic tropical island, but rather an island full of people, life, and food. It is located off the coast of the Penang State on the mainland, and its main city, George Town, actually constitutes to more than half of the population of the entirety of Penang. It is that busy of an island! For all the foodies who are reading this, this is the ultimate destination to get your food fix. Known as the Gastronomical Capital of South-East Asia, its hawker markets (food markets) are the stuff of legends. There are many renowned hawker markets that can be visited if you visit the island, and rest assured, your culinary adventures here will not be matched by any other destination. Food markets aside, the island has a great thriving local street art scene that can be pretty fun to explore, and their beaches outside of the city are absolute gems as well. To find out more about Penang, read our informative article about the top things to do here! 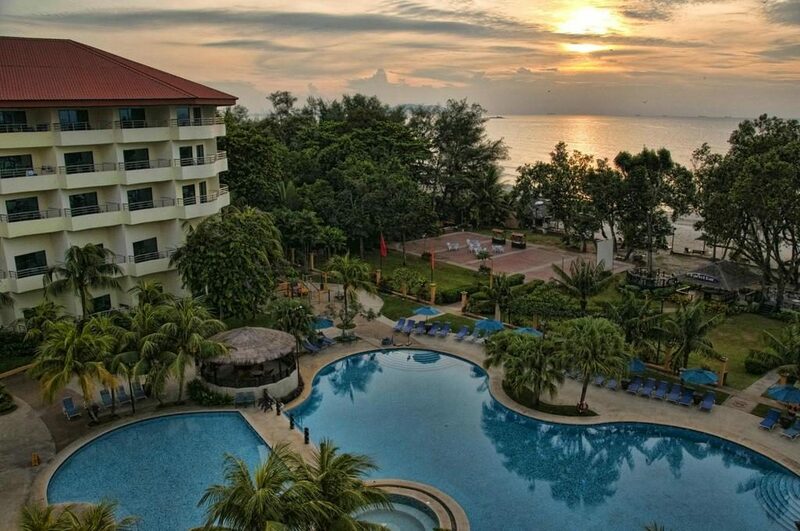 Located on the stunning beach on Batu Ferringhi, Holiday Inn Resort Penang offers sweeping views of the beach, and is in the prime position for the best view of the sunset that you’ll ever see. It features an outdoor pool, an on-site restaurant and a bar. Free Wi-Fi is available throughout the property, and there’s even free parking on site. For families with kids, you can rejoice, because there is a kid’s club on-site offering a Mac Station, arcade games, and a Lego room. Why Guests Love It: “Close to restaurants and night market. Rooms are clean. Service is quick. Breakfast is good and affordable”, “The facilities are superb! Came with my family, with kids, and we enjoyed the facilities and the kids club”, “Clean, friendly staff, night market just in front of the hotel, and there’s a variety of breakfast choices!”. 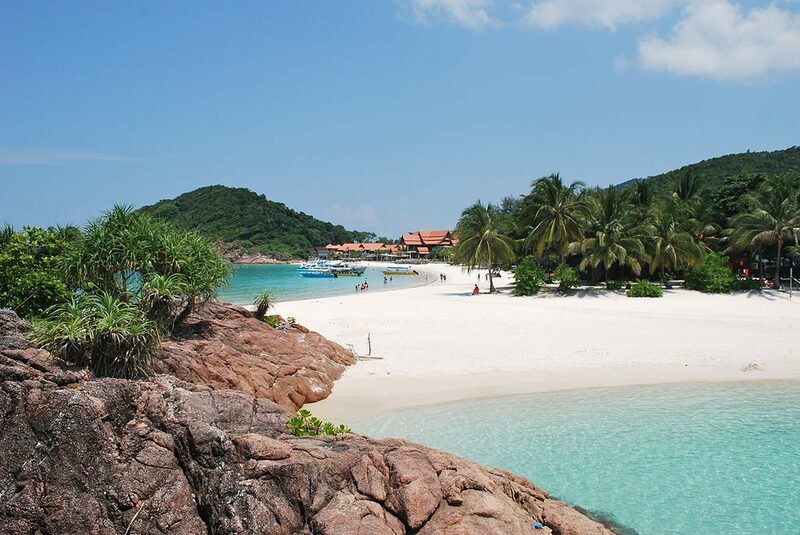 Described by many as the island where the time literally slows to a stop, Perhentian Islands is a destination for those who are all about tropical palm trees and cocktails by the ocean, but are also crazy about bingeing on beers on the beach all night long and partying until the sun rises. Whilst its rare to be able to experience the two different ideals of holidays in the same area, Perhentian Islands is actually just that. The reason why it is called ‘Islands’ (plural) and not just ‘Island’, is because it is actually made of two main islands: Perhentian Besar and Perentian Kecil. The distance between them is small, whilst the difference between them is vast. 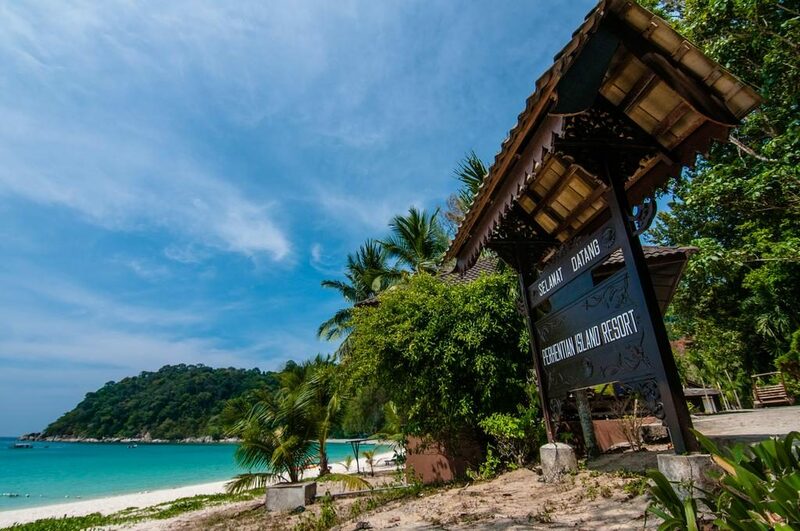 If you’re after budget-friendly, rustic accommodation and an eclectic party crowd, Perhentian Kecil is the way to go, whilst Perhentian Besar is the more luxurious island, with a quieter crowd who are chasing cocktails and sunsets over beers and music. Visitors can enjoy an abundance of restaurants and bars right along the beach, and once you get tired of doing nothing all day, take part in the many scuba diving snorkeling activities available along the beaches, operated by plentiful operators. 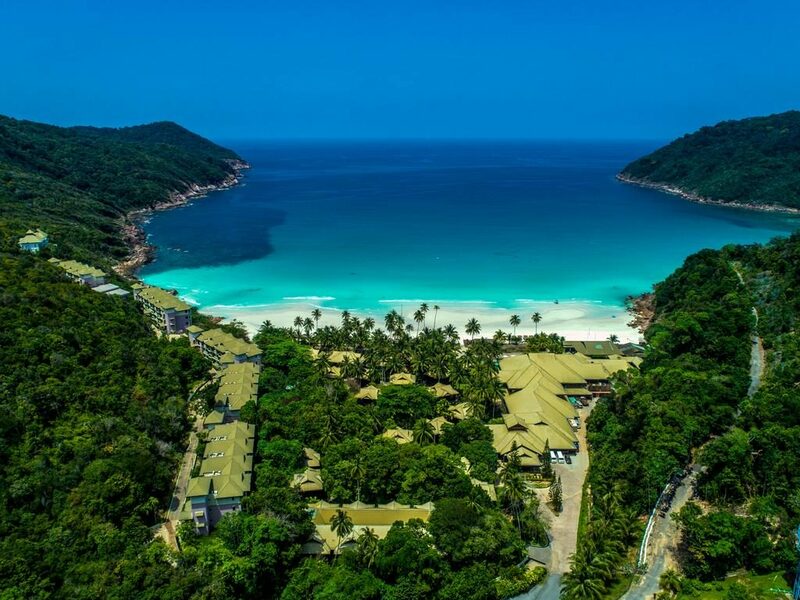 As characteristic of the islands as Marina Bay Sands is for Singapore, the Perhentian Island Resort sits on Perhentian Besar, and it’s the epitome of tropical island luxury. Located just 1-minute away from the beach, it’s surrounded by luscious greenery, crystal clear waters, and white sand. The resort provides free Wi-Fi throughout, a sprawling outdoor pool, and tennis courts. Some rooms provide balconies to enjoy views of the beach on, whilst all rooms provide air-conditioning and a private bathroom. Why Guests Love It: “Walking distance to other eateries”, “The facility is very comfortable and gives you a homely feeling”, “Stay here for the beach, it’s incredible”, “One of the most beautiful beaches I have ever seen in my life! Beautiful resort too!”, “The sea was really clear – we swam with turtles just off the beach on two of the four days we were there”. Just off the coast near Ipoh of Malaysia lies Pangkor Island, home to a plethora of sleepy fishing villages and mountainous landscapes. 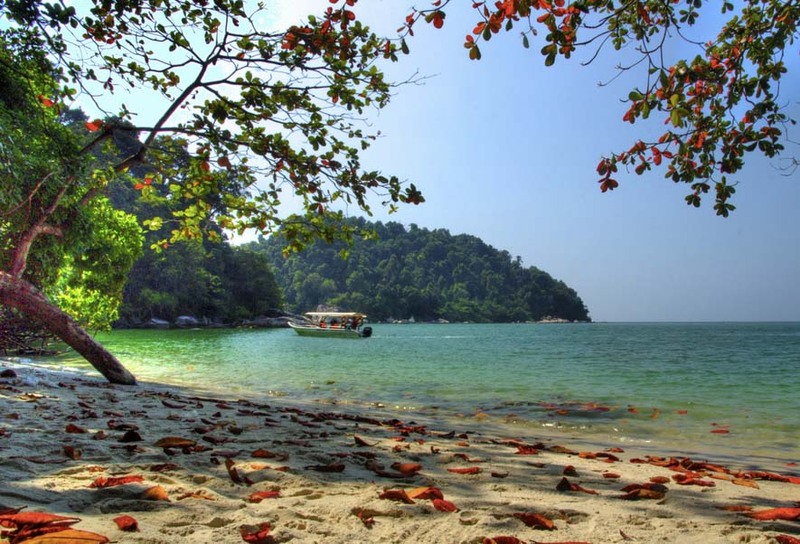 You may not have ever heard of Pangkor Island, but the locals definitely have, and the route to travel to Pangkor Island may be the easiest island route yet. Simply catch a bus from KL to the ferry port in Lumut, and then catch a ferry from there to Pangkor. It’s so simple! The island itself is full of mountains in the middle, and thus roads have been built around the middle in a circle for ease of access. Since the island isn’t very big, rent a scooter and you’ll be exploring all corners of the island before you know it (otherwise hail one of the island’s famed pink taxis). Check out places like Fu Lin Kung Temple, a Taoist temple at the foot of Pangkor Hill, or trek the Pangkor Hill Trek, which starts at Bogak Beach and takes you to the eastern side of the island. Not down for any activities other than lying on your back under the sun? 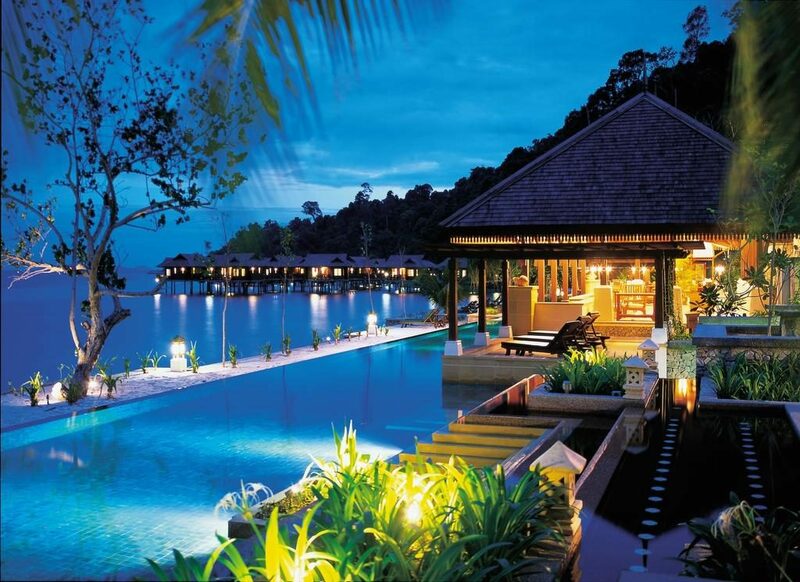 Head over to Pangkor Laut (one of the smaller islands), and indulge at one of their luxurious villas. 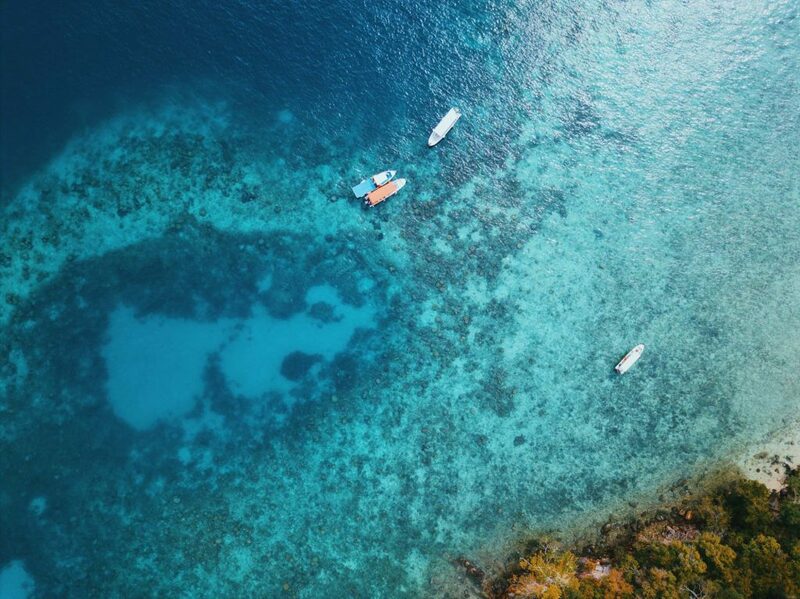 Snorkeling and diving are incredibly popular on the island, and can be as therapeutic as a massage once you’re amongst the masses of fish and coral reefs. Rooms that boast stunning views of the sea or of the surrounding tropical gardens, not one but two outdoor swimming pools, free Wi-Fi throughout the property, and private balconies and bathrooms across all villas – Pankor Laut is your dream come true on Pangkor Island. It’s the ultimate 5-star accommodation for your tropical paradise holiday, and is located close to many island attractions, although with premium facilities such as a spa, a bar, and two on-site restaurants, you might not want to leave the resort at all during your stay. Why Guests Love It: “The resort is the most beautiful resort I have ever seen in my life. The beaches are so well taken care of and the staff looks after every need. We did the couples spa which was by far the best spa I have ever experienced in my life – we highly recommend this”, “A big special thanks for the guide who guided us for the morning trip in “the jungle”. He is a passionate animal lover and has a lot of humour ☺”. Before we carry on, I want to let you know that you can find more island destinations in South East Asia here: Southeast Asia Islands. 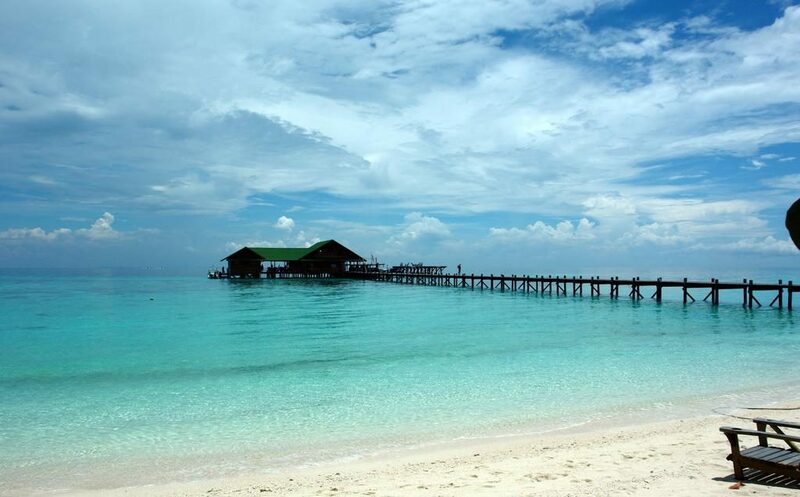 Mabul Island is located near its much popular neighbor, Sipadan Islands. But whilst Sipadan might get all the rep for its stunning waters and ideal snorkeling and diving conditions, Mabul offers just as much, if not more, of a slice of paradise. What began as a small fishing village in the 1970s has blossomed into a well-kept secret destination for divers all around Malaysia. Due to its location near the edge of the continental shelf, it’s home to one of the most diverse communities of marine life. Thinking cuttlefish, blue-ringed octopus, bobtail squids and more, peacefully co-existing in the reefs of Mabul Island, waiting to be discovered. As it is located off the coast of Sabah, the easiest way to get to this island is by flying to Tawau Airport via Kota Kinabalu. From there, catch public transport to Semporna and take a ferry across to the island. 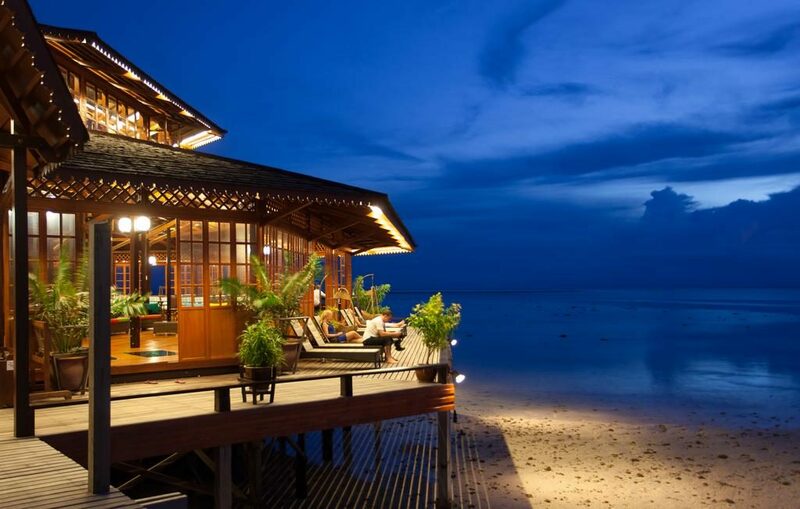 Seahorse Sipadan Lodge is not a resort per-se, but its abundant amenities, superb location, and provisions of the small creature comforts makes it a relative forerunner for the closest thing to a resort on the Mabul/Sipadan Islands. The lodge serves up buffet-style local cuisine, western bathrooms, comfy beds in rustic wooden lodges, and snorkeling and diving activities can all be organized in-house by the staff. Why Guests Love It: “Hospitality from staff was wonderful. Diving instructor like Arif at the lodge is terrific, provided entertainment, answered questions and provided more than what his job could offer”, “Easy check-in and check-out”, “You stay on the water, which is nice, and you are next to the village, so nice to experience that”. 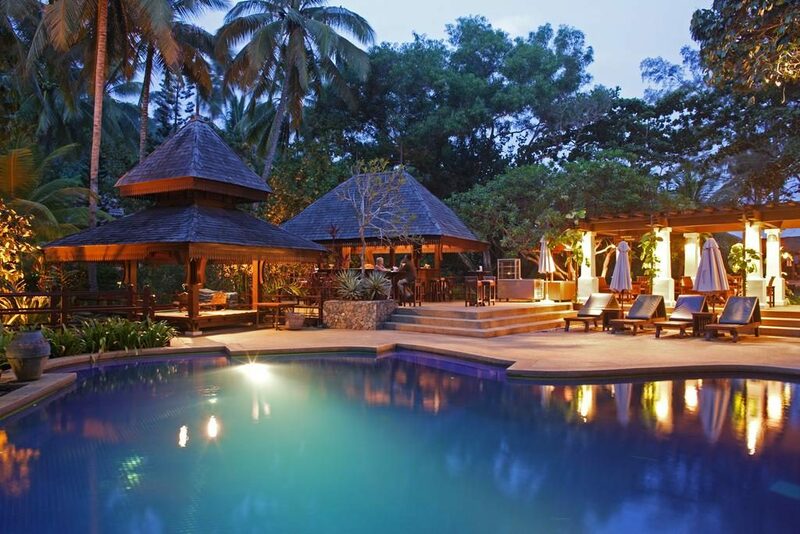 Kapas Island is where you’d go to well and truly leave the high-life behind you. With limited electricity, no ATMs, and sporadic internet, it’s as minimalistic as tropical islands can get. It’s equally as stunning in stature as many of the other islands on this list, however, the international spotlight has yet to shine its light on this hidden paradise, so you can be rest- assured that you’ll definitely be leaving the crowds behind. One of the most unique things about Kapas Island is that it’s literally only 2km long and 1km wide, meaning you can, in theory, trek the entire island (and then some) within a day. However, don’t underestimate the energy needed to do this! It will only take the average person 1-2 hours, but the hot summer sun will have something to do with the longer-than-expected time to complete it. Visitors to this island really only expect a few things when they arrive: close to empty beaches, stunning uninterrupted sunsets, slow, languid days, and friendly locals, and almost every time, your expectations will be met, and probably succeeded. Snorkeling, scuba diving and playing volleyball (there are permanent volleyball nets set up on some beaches) are how people usually pass time, in between lounging on the beaches under the sun. To get to Kapas Island, you’ll need to either plane to bus it to Kuala Terengganu, and then head to the ferry terminal near Marang. 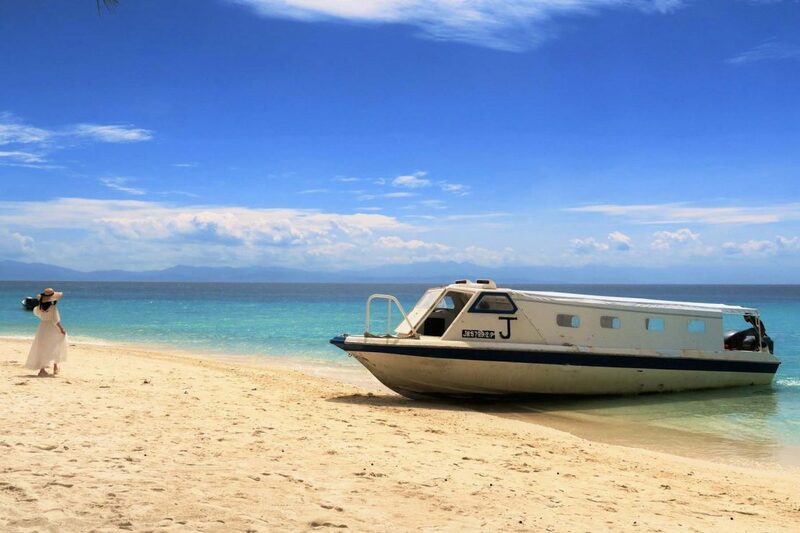 Whilst not located on Kapas Island per se, Gem Island Resort and Spa is located on a nearby island, Gemia Island, a private luxury tropical island that offers quick and easy transport options to and from Kapas Island. A day trip to Kapas Island is perfectly doable, and at night, you come home to one of the most luxurious island resorts you’ve ever come across. 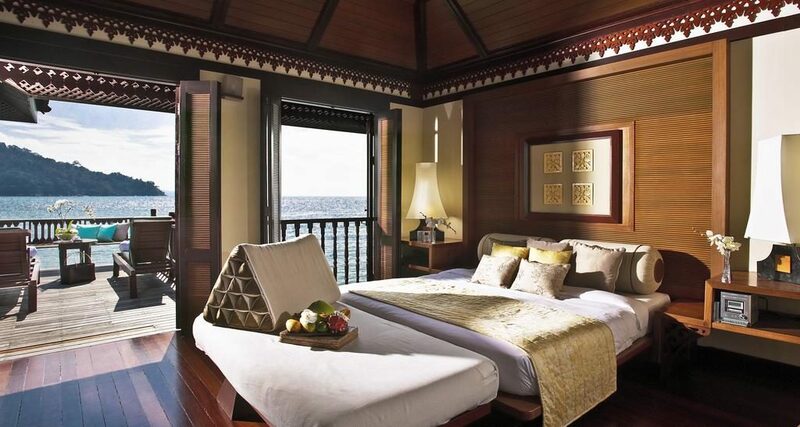 Think waterfront villas, pristine white sand beaches, and exquisite spa treatments. You can even access an on-site water sports facility. All rooms have a private balcony which open up to the sea or surrounding luscious greenery, and guests have the option to book in a body oil massage at the spa. This resort is the full-on experience. Why Guests Love It: “The location is sensational! Beautiful beaches. 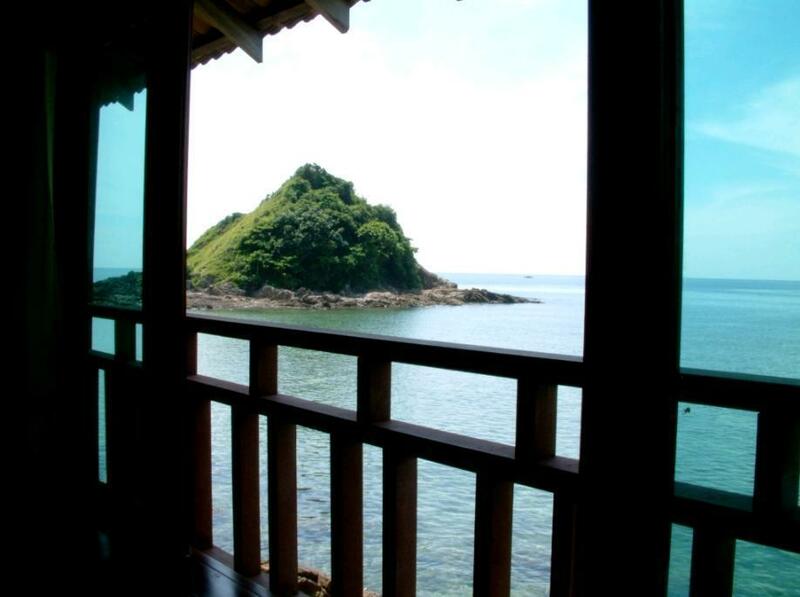 Pulau Kapas reachable by swim/kayak if you want some liveliness”, “Excellent location, just 3-minutes from Kapas Island by boat, with 2 private beaches. Excellent rooms and food”, “The water villa was huge and comfy, chicken parmigiana is superb. Snorkeling and beach area is gorgeous. Perfect for a relaxing getaway”. 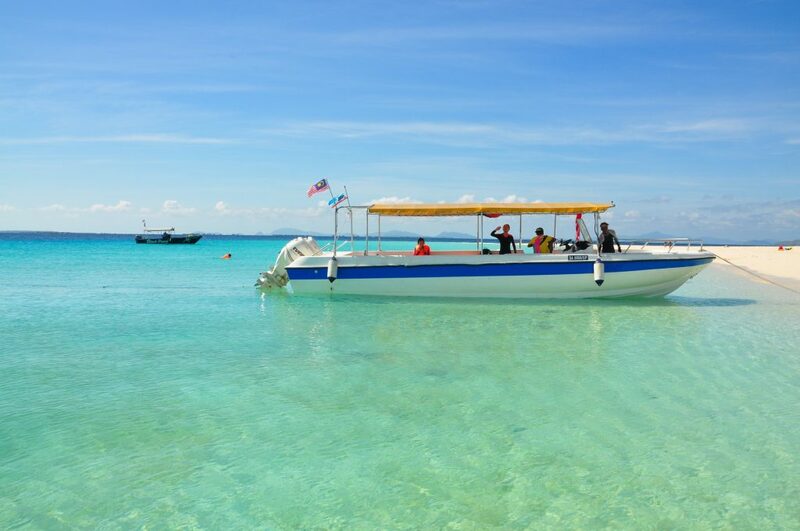 One of the smallest islands in Malaysia, Lankayan Island is located on the north-eastern coast of Sabah, and is one of Sabah’s top diving spots. Surrounded by turquoise blue waters and colourful coral reefs, it’s another supreme diving and snorkeling destination for marine life enthusiasts. Due to its fragile and unique ecosystems, it’s part of the Sugud Islands Marine Conservation Area (SIMCA). Throughout the year, you will be able to access 14 different dive sites from the island, including the Lankayan Shipwreck. Whale sharks can be spotted between March and May, and the island is a popular nesting site for green and hawksbill turtles. The sands of this island are renowned throughout Malaysia as being some of the whitest sands in the world, often being compared to the likes of the Maldives. The ecosystem is well and truly alive and thriving on this island, and you can expect to come across shallow reefs when you’re snorkeling, dancing fireflies at night, and sun loungers set up at the end of the jetty for you to relax in. 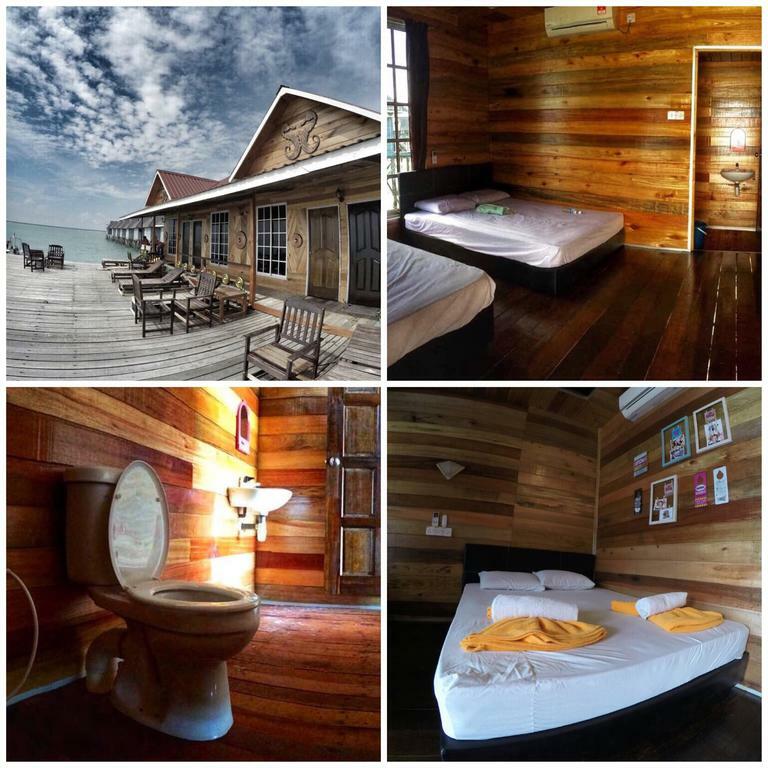 As this is a rather remote and untouched island, there are not many resort accommodations (in fact, there is only one), and the only way to get to this island is via a speedboat which departs from the Sandakan Yacht Club which takes about 2 hours. 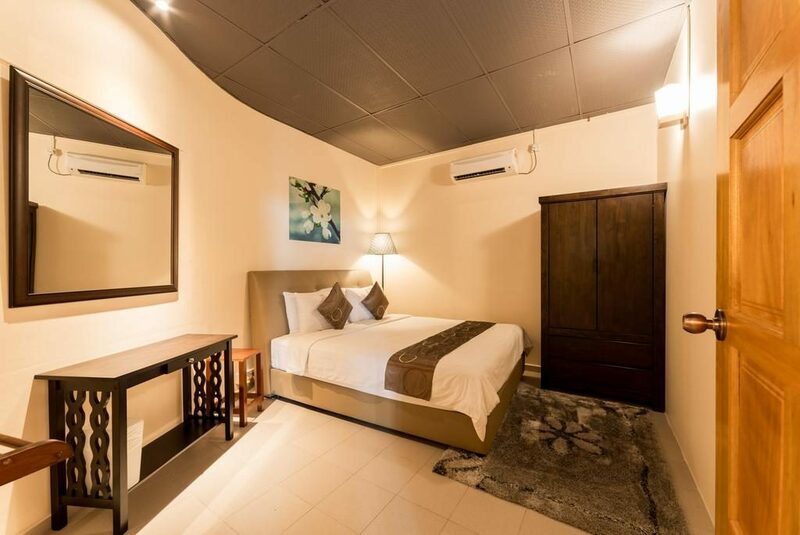 Offering premium chalets for all patrons, anyone booking a stay at the Lankayan Island Dive Resort can expect to live like a king and queen for the duration of their stay. 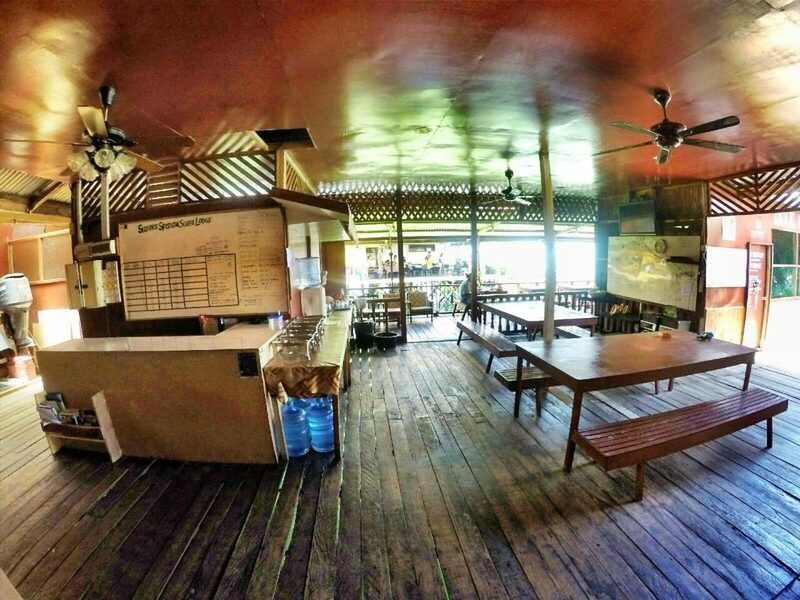 It operates an on-house restaurant with an extensive menu as well as a bar. Each spacious chalet unit features air-conditioning, a canopy bed, a large private bathroom with a bathtub, and a generous balcony offering stunning sea views. Head outside for a few minutes and you can go diving straight off the sands of the island here. Why Guests Love It: “Great location, big rooms overlooking the water”, “The island is stunning: turquoise water, coral reefs, beautiful vegetation. The resort is well looked after and is immaculate. 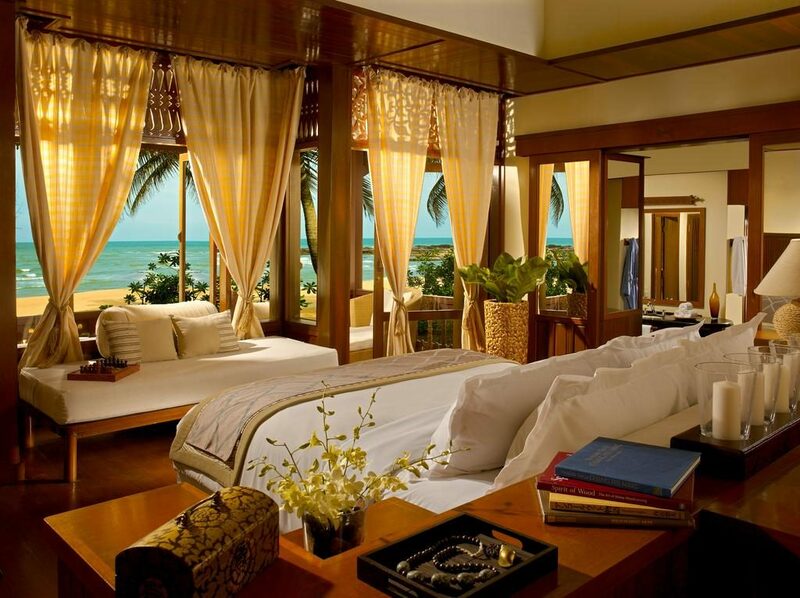 Beds are comfy, there are hot showers, and the restaurant building is beautiful, the verandah area is a great place to hang around and read a book or just look out at the ocean. Watching turtles hatch and being released into the ocean was very joyous. The staff were so friendly and obliging”. Redang is a small island group located within the Terengganu Marine Park off the coast of the city of Kuala Terengganu. It encompasses of the main Redang Island, which is where most people will visit and stay, however, you can also visit the smaller neighbouring islands as they all have something special to offer. Redang is surrounded by crystal clear waters, healthy colourful coral reefs, and white sandy beaches that are picturesque enough to be a desktop wallpaper. The tropical fish that inhabit the waters swim up to 50ft of the shore, making them surprisingly easy to spot when snorkeling. When you go diving, you’ll come across schools of jacks, fusiliers and trevallies, black tip reef sharks, humphead parrotfish, cuttlefish and turtles. Occassionally, if you’re lucky, you’ll see manta rays and whale sharks. The island of Redang is slightly more developed than most other small tropical islands off the coast of Malaysia, meaning there are a few more upmarket accommodations options. This also means that there will be more people inhabiting the beaches than other islands. 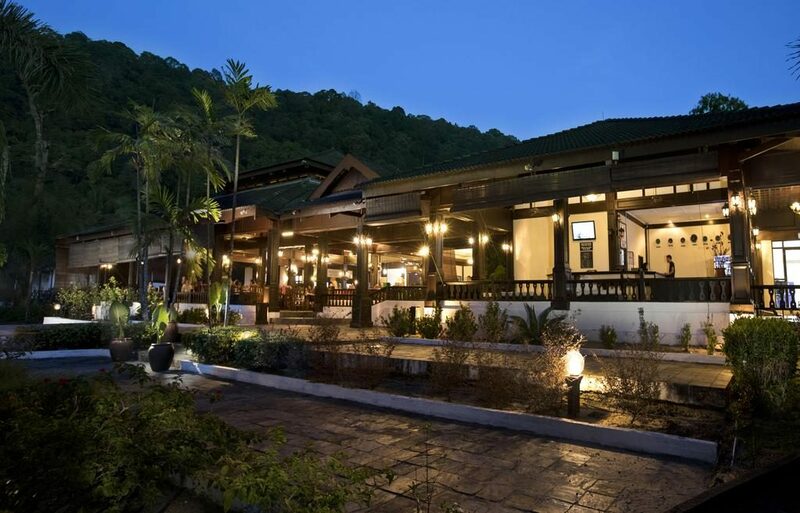 A true luxury 5-star resort, Taaras Beach & Spa Resort is one you cannot look past when looking at where to stay on Redang Island. You will find everything you need right at the resort itself, with a stunning outdoor swimming pool, four different on-site restaurants, a fully equipped fitness centre, a spa, and a 24-hour front desk. 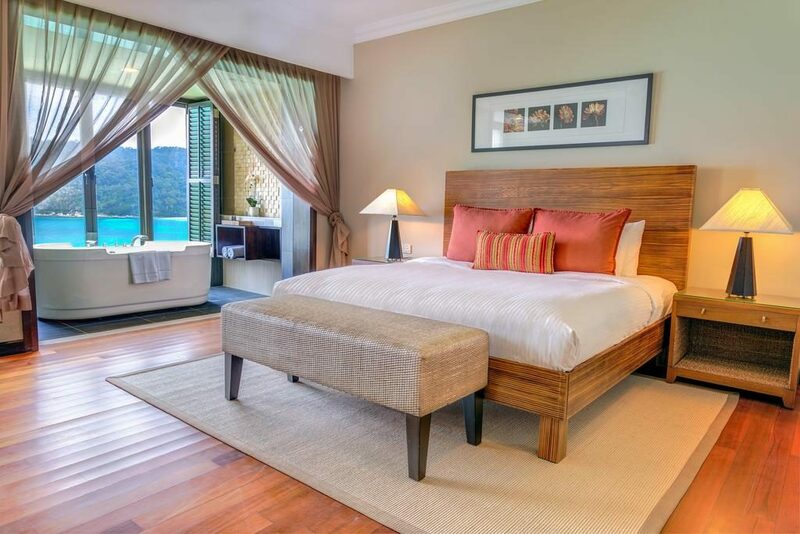 All rooms feature air-conditioning, a balcony with stunning views, private bathroom, and modern furnishing. Why Guests Love It: “Beautiful views, very well maintained, very friendly and professional staff”, “The reef is at a swimmable distance, you can rent a canoe at the hotel and swim with turtles (less than 5-minutes away!). The snack bar on the beach makes delicious meals”, “Amazing beach: beautiful, clean, not crowded”, “A good place for family holidays and relaxation. Beauty of the beach is remarkable, typically one with clear blue sea and white sand”. 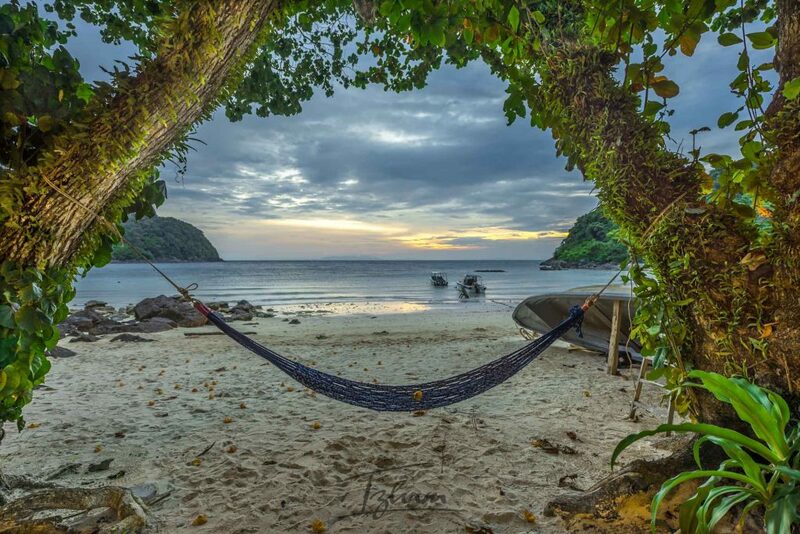 Tenggol Island, part of the numerous clusters of islands off Malaysia’s east coast is a beautiful, laidback option to get away from the noise and light pollution of the city. It’s considered highly underrated (possibly because of its small size and relatively far distance from the mainland), but once you step off the boat into the clear waters surrounding the island, you’ll never want to leave. They are so clear, in fact, that you can see straight to the bed of the ocean and not realise how deep the water is. The completely uninterrupted sunsets from the expansive beaches in Tenggol will leave you in awe, and whilst most people head here for the diving environment, non-divers can snorkel around the island, and also indulge in some light trekking around the small island. 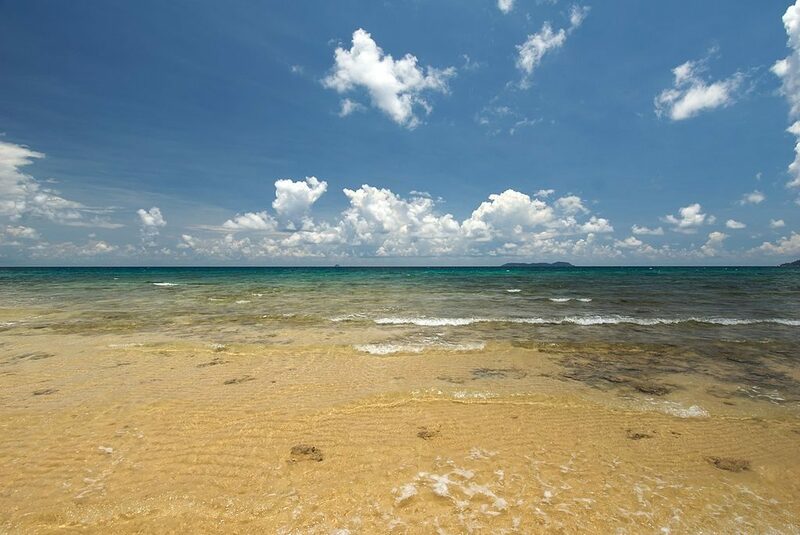 During the monsoon season (between October and February), Tenggol Island is closed off to visitors. The only way to get to and from Teggol Island is via boat, and the only boats that head there are from Kuala Dungun jetty. Make your way to Dungun (some people stay overnight at Dungun to catch the boat early in the morning), and at the jetty, you can arrange for a boat to Tenggol Island. It’s a rough 35 to 50-minute boat ride to the island, depending on the water conditions. Due to the relatively small size of the island, there are not many resorts located on the island itself. However, a day-trip from the coastal city of Dungun is quite doable, and is often the path taken by many visitors. 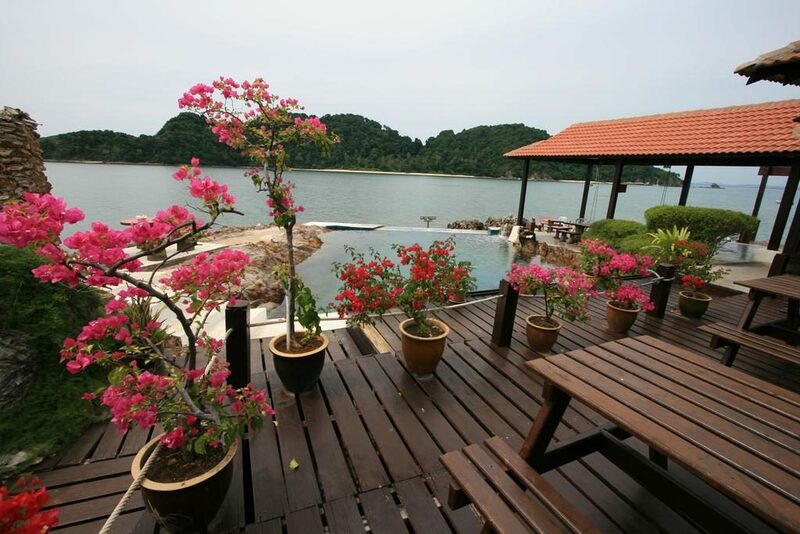 Tanjong Jara Resort is one of the best of the best. 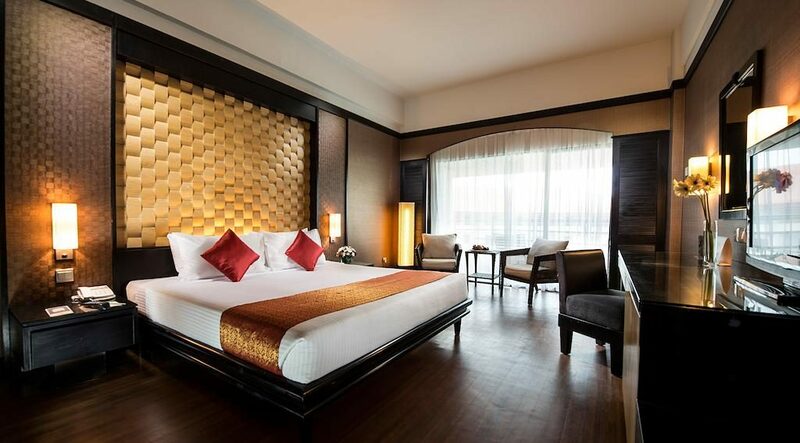 Its exquisite resort design and use of modern and traditional Malaysian décor sets the tone for it to be one of the best places you’ve ever stayed at. 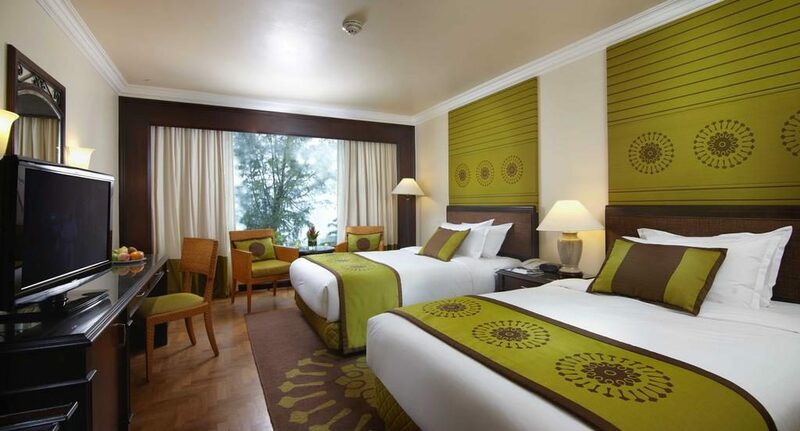 All spacious rooms have fitted hardwood flooring, and boast impressive views of the surrounding greenery or the ocean. 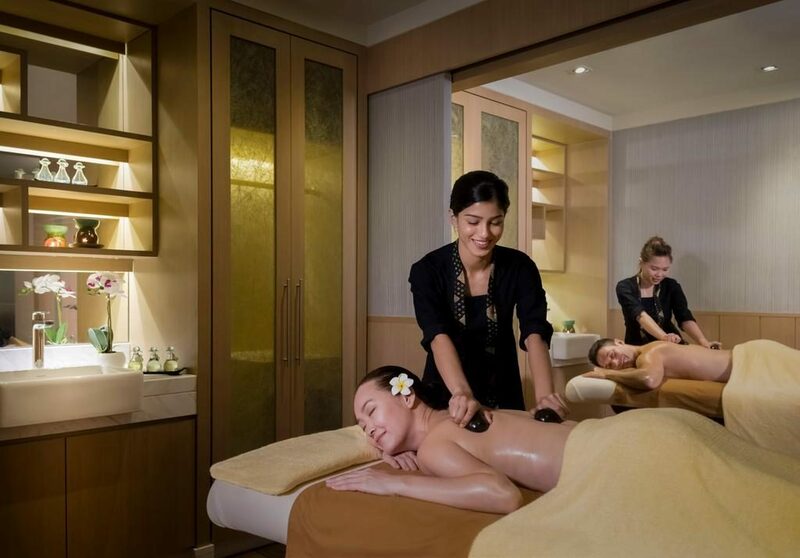 Massages and body treatments are offered at the Spa Village. Guests can even partake in a tennis game onsite, or settle down with a novel in the on-site library. Why Guests Love It: “The experience was amazing, and the hospitality of the hotel’s team was memorable. Staff were so kind, nice and helpful. Room was really clean and well-equipped. The hotel garden and nearby beach were amazing. Finally, we have a very pleasant experience of watching baby turtles release at night”, “Staff are all friendly and helpful, especially Mr. Kimie. He and the team members supported my fiancé in preparing a romantic proposal”, “Amazing place, extremely quiet and peaceful. A must!”, “It was amazing, services given was excellent. Nothing to be complained about”. 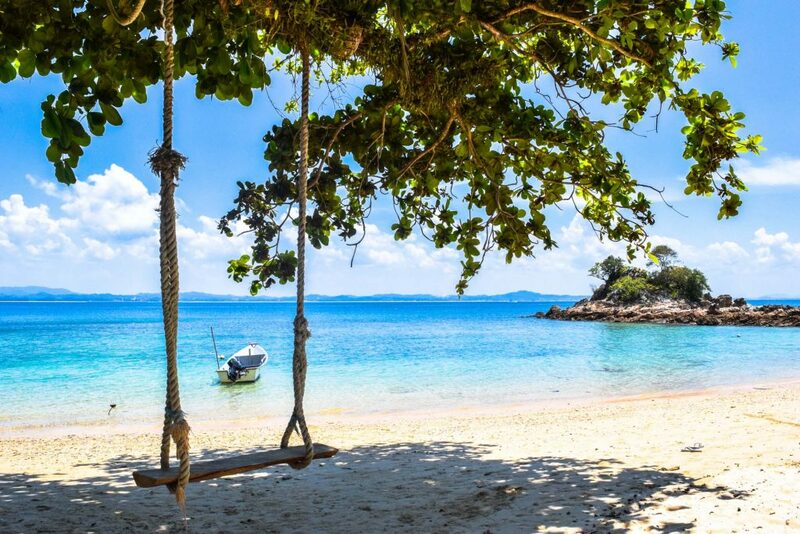 Beautiful islands are abundant in Malaysia, and whilst many of them are rising in popularity and tourism, you probably won’t be bumping into as big of crowds as Thailand or Indonesian islands, which is a highly-sought after these days. There’s no telling how long it is before the the big secrets are let loose and people start streaming in hordes to take advantage of the crystal clear waters, white-sand beaches, and quiet, relaxing atmospheres of the islands, so take your chance now and visit one or two or ten of the above, you’ll be pleasantly surprised as to how good they really are. How about you, which one is your favorite Island in Malaysia? Share your answer in our Facebook Group. Amazing Photos and Great Content on your site! We Love travels to Asia so we find this very inspirational! Safe Travel – Stay Awesome!